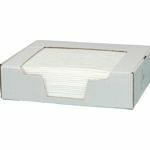 Oil-Only Absorbent Pads are designed to control and clean up spills. They repel water and only absorb petroleum-based fluids to ensure efficiency in your cleanup operation. Oil-Only Pads can be used indoors around machinery to catch leaks, drips and spills or use them outdoors to soak up oil sheens off the surface of water. 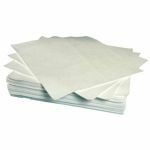 Clean up oil spills quick and easy with Oil Absorbent Pads from SERPRO. 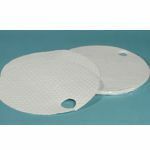 Fast-absorbing and usually white, these oil only pads are perfect for use in oil storage facilities, marine plants, automotive centers and other related industries and are an essential part of any spill kit.